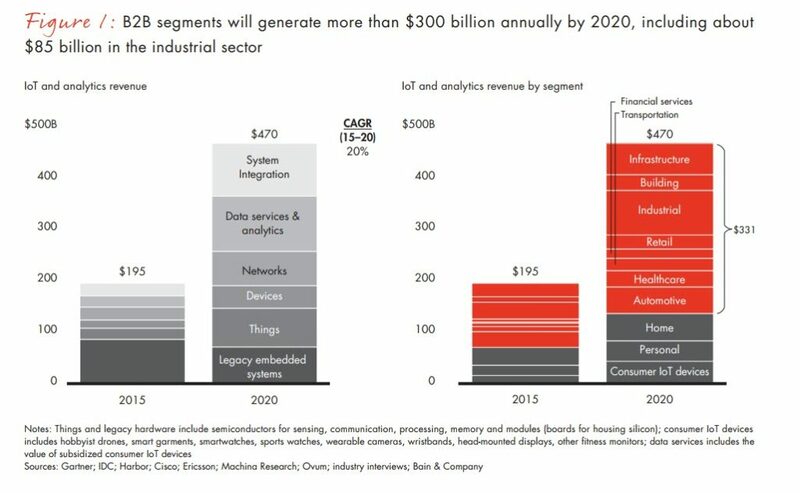 Business-to-business (B2B) applications of the Internet of Things will generate $300B in revenues by 2020, according to a recent Bain Insights Brief. Manufacturing, Consulting, Business Services and Distribution & Logistics are the top four industries leading IoT adoption today, and will accelerate through 2020, according to a recent study by Dresner Advisory Services. IoT is generating four forms of financial value in manufacturing today, with inventory management & optimization emerging as a leading profit contributor, according to a recent survey of enterprises by Gartner.  The Internet of Things refers to the interconnectivity of all types of devices around the world as well as to the people that use them. Jacob Morgan at Forbes describes it as “The concept of basically connecting any device with an on and off switch to the internet (and/or to each other),” and involves every device you can think of, including consumer electronics such as cellphones, coffee makers, washing machines, headphones and wearable devices, as well as bigger machines such as manufacturing equipment. In the very near future, almost all (if not all) devices on the technology market will be equipped with internet connectivity, contributing to the growing IoT. A Gartner study predicted that by 2020 there will be 26 billion connected devices worldwide, allowing those devices and the people using them to connect more than we ever thought possible. Now you may be wondering what the big deal is about a bunch of interconnected consumer electronics and manufacturing machines. It just means that more people in more places will be able to share and watch cat videos, right? Although that’s probably true, the full potential of IoT technology lies in the automation and increased efficiency of our daily lives and, indeed, of our businesses. Morgan provides two enticing examples of the possibilities of IoT technology: “What if your alarm clock wakes you up at 6 a.m. and then notifies your coffee maker to start brewing coffee for you? What if your office equipment knew when it was running low on supplies and automatically re-ordered more?” IoT technology is data-driven, using the internet connectivity of potentially thousands or millions of devices to share information that simplifies and improves all kinds of tasks. How Can IoT Impact Businesses? Generally used by large corporations, an EAM software solution collects data from various internet-enabled machines and devices used by a company in order to help improve efficiency. EAM software can be used to improve the supply chain or to test how well certain parts are working. The latter helps engineers realize when a part needs maintenance or simply needs to be replaced. Regular maintenance is a must for large equipment and heavy machinery, but it’s made easier when there’s software that can monitor each piece of equipment and detect problems when they happen, rather than finding said problem after the fact. Additionally, widely-scaled EAM solutions can compare data from different facilities. No longer is it a guessing game as to which facility runs the best and why. The data collected from every device in every facility can be compared to find which processes a particular facility may be better at than another and why that’s the case. Despite this, the most exciting aspect of EAM is not only the ability to improve maintenance and the supply chain, but the ability to reduce environmental impact. By constantly monitoring the machines and devices involved in industries such as manufacturing, these corporations can increase their focus on improving sustainability on a large scale, hopefully leading to much greener processes in the near future. The Internet of Things is already a large part of our daily lives (whether or not we realize it yet), and will only become larger as the number of connected devices. We’re excited to see the improvements and innovations that are on the horizon, from automated coffee to greener manufacturing facilities. The only limit lies in our ability to find new uses for IoT technology. What are the lessons learned from these world-class supply chains when it comes to inventory management? First, these high-performance supply chains have a culture that’s rich in analytics, insight, contextual intelligence and accountability for results. They each have built a culture that’s strengthened daily with customer insights gained from IoT data that comes from their distribution networks. Second, each of these supply chains can quickly aggregate massive amounts of data, finding new insights to grow profitable new businesses and optimize existing supply chains. Third, the level of collaboration these firms attain across their supplier and customer networks is turning data itself into a currency, complete with a monetary value, all based on IoT-based data. 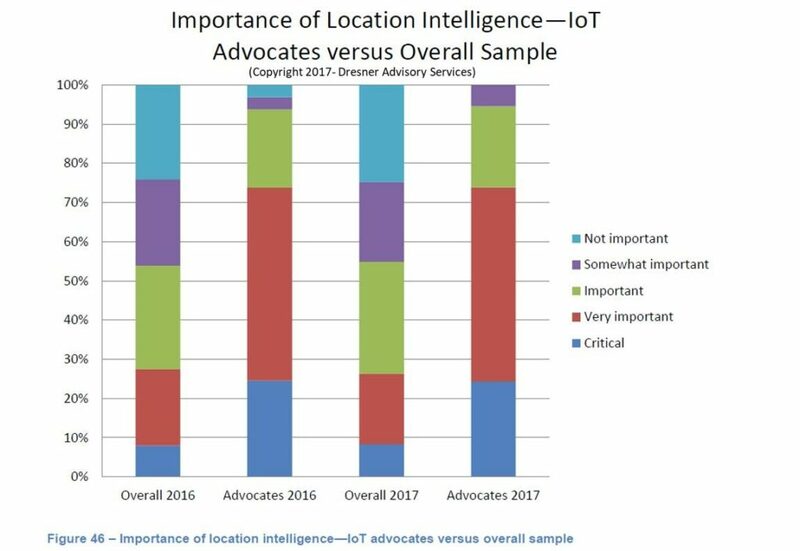 74% of IoT early adopters say location intelligence is critical or very important. 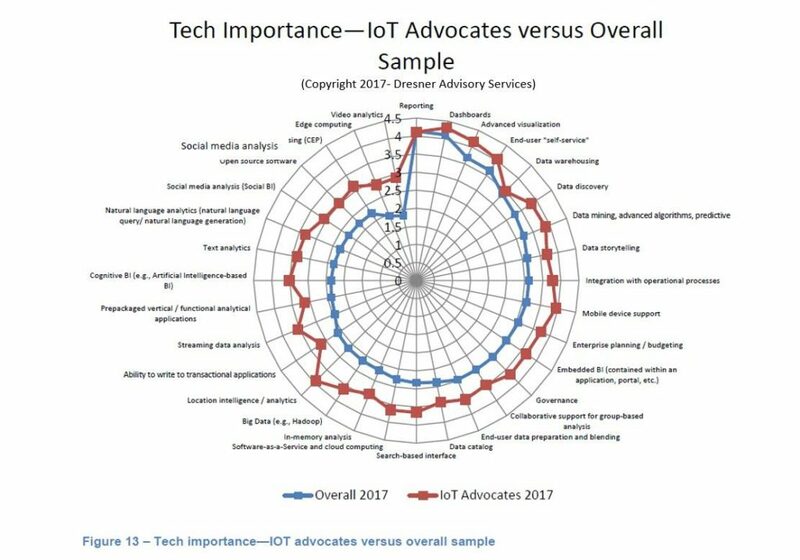 Conversely, only 26% of the overall sample from the Dresner Advisory Services report ranks location intelligence at the same level of importance. One of the most promising use cases for IoT-based location intelligence is its potential to streamline traceability and inventory management compliance workflows in highly regulated manufacturing industries. In 2018, expect to see ERP and Inventory Management software vendors launch new applications that capitalize on IoT location intelligence to streamline traceability and supply chain compliance on a global scale. Manufacturing and Supply Chain Management, including Inventory Management and Business Intelligence Competency Centers (BICC) are among the most powerful catalysts of IoT adoption in the enterprise. 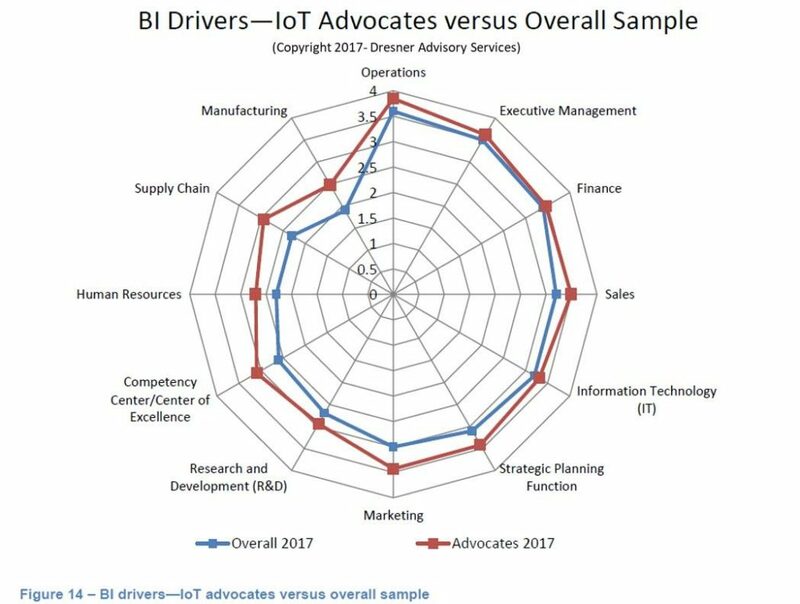 The greater the level of activity across the 12 functional drivers of BI adoption defined in the graphic below, the greater the potential for IoT to deliver differentiated value based on unique needs by area. Supply Chain Management, including Inventory Management, is among the most active early adopter segments of IoT adoption, followed by Marketing, Sales and Strategic Planning. In the context of strategic planning, these twelve areas of adoption are synchronized to common data capture, aggregation, reporting and performance improvement goals. Supply chains are the lifeblood of any business, and serve to unify each of the twelve areas into a single, cohesive strategy. IoT is generating four forms of financial value in manufacturing today, with inventory management & optimization emerging as a leading profit contributor. Additional sources of financial value generated by IoT in manufacturing include greater operating efficiencies, Supply Chain Management (SCM) and predictive maintenance. Of the early IoT adopters, 88% see a competitive advantage from using sensors to capture additional data they hadn’t had access to before for streamlining supply chain and inventory management. CIOs and the enterprise IT staffs they lead are most often relying on reduced operating and support costs as the business case to finance IoT pilots aimed at improving inventory management. 37% say having additional IoT data on inventory management performance is the primary factor driving their business cases to finance pilots and full-scale production-level adoption. These findings are taken from Gartner’s Survey Analysis: Top Digital SCM Take-Aways From Gartner’s 10th Annual SCM Technology User Wants and Needs Study. There are latent opportunities across the value chains of all companies, especially manufacturers, to improve their overall operations using IoT real-time data as a catalyst for improvement. 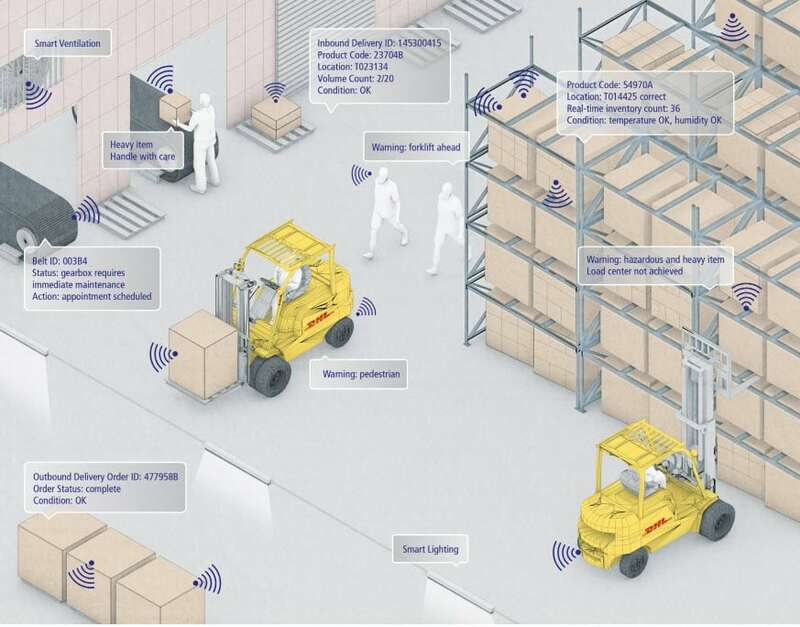 Of the many areas where IoT can contribute and is beginning to be integrated into daily production, the most valuable is Inventory Management and Supply Chain Management. Inventory Managers’ greatest challenges occur when there isn’t enough data available to make an informed decision. There are also the continual challenges of tracking assets that haven’t been entered into tracking systems correctly and are often lost, then written off. IoT systems’ strengths include bringing greater tracking, traceability, quality management, compliance and real-time data on inventory positions. All of these factors contribute to a roadmap of value that every company can chart their course with by using IoT systems and technologies.